Acronym used by the NSA for the Secretary of Defense of the The United States. The Secretary of Defense is the principal defense policy advisor to the President of the United States. 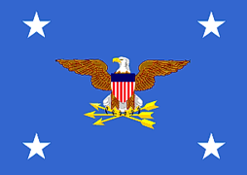 The position was created in 1947 when the Navy, Army, and Air Force were merged to become the National Military Establishment. During 1949, the National Military Establishment was renamed the Department of Defense. The Secretary of Defense also supervises the Joint Chiefs of Staff and the commanders of the Unified Combatant Commands. The Secretary of Defense and the President together constitute the National Command Authorities ( NCA ). Only the NCA has the authority to launch strategic nuclear weapons and both the President and the SECDEF must concur before a nuclear strike can be ordered. The SECDEF plays an inescapable role in the history of ufology. The office of the SECDEF was created at the onset of the Modern Era in Ufology. During 1947 there were many UFO incidents including the famous Kenneth Arnold sighting and the Roswell crash. Then in January 1948, the USAF began a series of official UFO investigations that spanned over twenty years. UFO sightings have continued into the present day and by unavoidable necessity, the military must always have some level of involvement. When a UFO is tracked on RADAR, it can not be presumed that it is not an incursion by a foreign military aircraft. So it would be completely naive to think that such incidents do not include some kind of reporting and investigative system, especially when orders to intercept UFOs are given. It would also be naive to think that the SECDEF would not have any knowledge of such incidents. James Forrestal was the first SECDEF of the USA. He was in office during the Roswell incident and Project Sign. Today we know that Project Sign concluded that UFOs are interplanetary spacecraft. We also know that the Roswell incident involved a crashed UFO and that its recovery and analysis became classified by the military. James Forrestal is also connected with the Majestic 12 Group. According to the controversial MJ-12 documents, he was one of the founding members of the secret government group tasked with investigating UFOs. Forrestal's career ended in tragedy during 1949 after he allegedly jumped from a 16th floor window. He had been taken under protest to the Bethesda Naval Hospital on April 2nd and diagnosed with Involutional Melancholia, a condition that was once associated with middle aged emotional depression. Prior to being admitted to the hospital, he had reported being followed by "foreign looking men" he believed were "out to get him". His description of these men is reminiscent of the MIB. Access to Forrestal at the hospital was severely restricted, probably for his own security. However in the early hours of May 22, 1949 someone or something got to him. He went through a 16th floor window at the hospital and plunged to his death. He was found below with a bathrobe sash tied around his neck. Initial reports stated that he had committed suicide, but those closest to him do not believe that Forrestal took his own life. There were signs of a struggle and the logistics of the suicide theory do not add up. Documents that were later released under the FOIA also do not state that his death was a suicide, only that he seemed depressed. The report also mentioned that he was treated with Sodium Amytal, a barbiturate with hypnotic and sedative properties used by the CIA for interrogation purposes. It is not used as a treatment for anxiety or depression. Those who suggest that Forrestal may have been the target of an assassination also point out that according to a CIA study released under the FOIA, one of the most effective methods of assassination is to drug the target victim and subject them to a fall of 75 feet or more onto a hard surface. On January 28th 1996, Former Secretary of Defense, William Perry publicly admitted the existence of Area 51, a highly secure military installation, the existence of which was previously denied. Area 51 is known to ufologists as the location of many UFO sightings and the alleged reverse engineering and testing of alien technology.